Samsung Display has managed to create a new type of screen that it calls unbreakable and it could appear on the foldable Galaxy X soon. This new display features a flexible OLED screen, nothing new there then. But instead of the usual glass window placed on top of that, this uses a fortified plastic instead. The result is that unbreakable status, which not only Samsung is claiming. The exciting thing about this new display, apart from the lack of cracks in future phones, is that this is a proven reality. The – deep breath – Occupational Safety and Health Administration of the U.S. Department of Labor, has said that this is a reality after its labs put it to the test. And since this lot run on military testing standards, you know it's going to be strict and tough. These tests meant the panel was dropped 26 times in a row at varying angles and temperatures from 1.2 metres. This made it military grade strong. So then they went further, yup, beyond what the military calls tough, to 1.8 metres. The display was still fine and showed no signs of damage and continued to work perfectly. So what better place to debut this game changing tech than in a new category of device that has a folding screen. 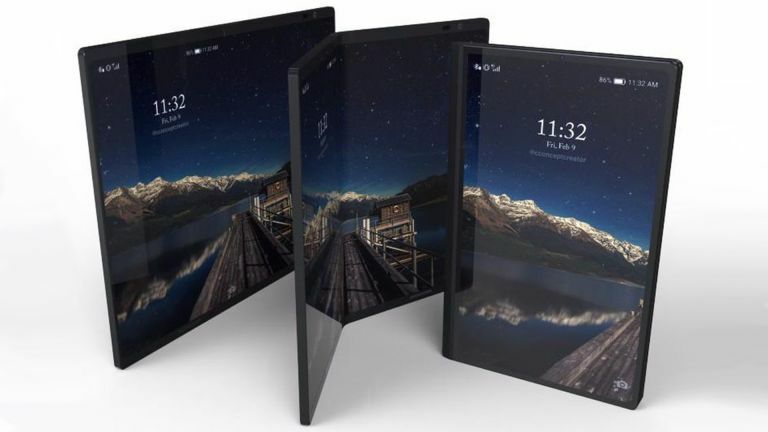 Yup, this could be how Samsung folds that Galaxy X screen and as a bonus it will be unbreakable too. We can't wait for the rumoured early 2019 launch.